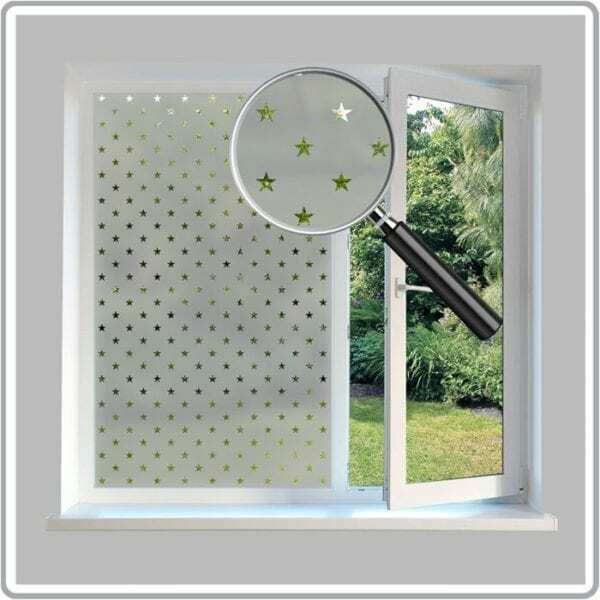 Add some privacy and style to you home with our repeat pattern etched glass effect window films. To order, simply enter your required dimensions in centimetres & your quantity in the boxes above. The pattern is computer cut into our popular silver frosted window film which gives excellent two way privacy whilst still allowing 80% of light through the film and clear visibility through the pattern. This film is an easy to install self-adhesive film and can be applied directly to any smooth glass surface.